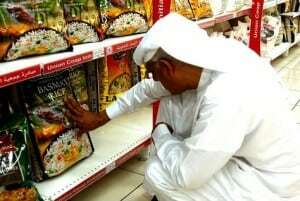 Food giant Savola Group could become the first company in Saudi Arabia to move to Friday-Saturday weekends ahead of a wider country change. In a statement to the Saudi stock exchange Tadawul, the company, which owns the Middle East’s biggest sugar refining business, said the decision would make it easier to do business internationally. “Savola Group would like to announce to its shareholders and all stakeholders that the Group is currently considering changing the weekend days to Friday and Saturday, instead of Thursday and Friday,” the statement says. “This would be from the beginning of the second half of this year 2013, God willing. This change would facilitate communication and coordination between the Group and its subsidiaries inside and outside the Kingdom, such as (Egypt, Morocco, Sudan, Algeria, Jordan, UAE, Turkey, Kazakhstan and etc..). Group managing director Dr. Abdulraouf M. Mannaa said coming into line with the company’s international partners would improve communication with regional and international markets, financially, commercially and economically, and allow business to be conducted over more days per week. Saudi Arabia, the richest and most populous of the six GCC nations, is the only one operating with a Thursday-Friday weekend after Oman announced earlier this year it would change to Friday-Saturday from May 1. It is believed Saudi Arabia’s Shoura Council has given initial approval for the weekend change but has not publicly revealed if and when it would be implemented. Prominent Saudi lawyer Kevin Connor, MENA co-ordinating partner for legal firm Squire Sanders, told Arabian Business he expected it to occur later this year, or January at the latest. Connor said the discussions also included reducing the number of days private sector employees were expected to work from six (with Friday off) to five.